We are looking for 12 regions interested to uptake the created and validated co-creational model for the health sector. Send your application to us by 31/07 and we will give you a short feedback about what would need to be improved to make sure that it is perfect for 31/08. Regions have to apply through a Consortium integrated by three different stakeholders: one challenger, one funder and one supporter. The community is open to receive more committed parties but these 12 regions will benefit from a closer mentoring and a tailored support throughout the project life cycle. If you are interested, you are just one step away from your objective. All you have to do is just fill in the Application form by 31st August 2018. Economic support: Challengers, Funders and Supporters from these 12 regions will be invited and their travel-accommodation costs will be reimbursed. To more efficiently utilise your regional funds earmarked for healthcare and/or digitalisation and foster innovation within your region. To implement a new co-creation and demand-driven model in your Region that ensures that the uptake of the digital solution will be more successful as it serves a real, existing and prioritised need. To foster the capacity of health entities to systematically identify and solve their needs while creating opportunities for private companies. To replicate the inDemand model under the close coaching and personalised support of the three inDemand regions. 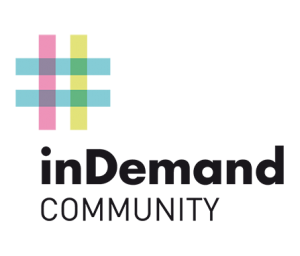 inDemand Community Regions will benefit from a personalised support how to implement the model in their territories. Since they will take up an already validated model, this will allow them to save time, energy and efforts to avoid failure and risk.The know-how will be transferred through technical webinars and a fully refunded training session in Brussels in 2019. Funder public: fund management organisations, managing authorities, usually managing Structural Funds at regional level. They launch the competitive call to identify the solvers. Identify these three profiles in your region and let’s innovate together! Regions are eligible to apply if they can provide proven records of commitment and possibly experience of collaboration between the healthcare provider, the managing authority managing Structural Funds and a business intermediary organisation, from the sector. The selected regions must demonstrate they could implement the inDemand model leveraging their own resources (eg. regional structural funds). A representative of each regional organization will be invited to a face-to-face training in 2019, whereby travel and accommodation costs will be covered. Your region will couple up with the pilot regions to follow the process and have access to lessons learned. are expected to attend the organised online and offline meetings and follow the implementation process in the pilot regions until the end of the project (September 2020) and beyond. are committed to investigate the feasibility of the successful implementation process in their own regions and take the necessary steps to make regional public funds available to this end. If you want to have a first look at the application form and know more about the information we’re requesting, download this pdf.